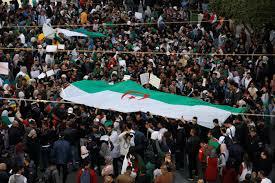 Algeria protest leader vows more pressure despite Bouteflika’s decision – Royal Times of Nigeria. Algerian President, Abdelaziz Bouteflika’s decision to quit by April 28 “will change nothing” and demonstrations will continue, a protest leader said today, indicating that popular pressure for more far-reaching political change remains insistent. Mustapha Bouchachi, a lawyer and activist, said this to newsmen today as hundreds of students marched in Algiers to demand the immediate resignation of Bouteflika and the replacement of a political system widely seen as incapable of significant reform. Bowing to weeks of popular discontent, the veteran ruler on Monday, announced he would leave before his terms expires at the end of the month. A presidential statement carried by Algerian state media reports that the eighty-two-year-old will ensure continuity of the state’s institutions before he quits. 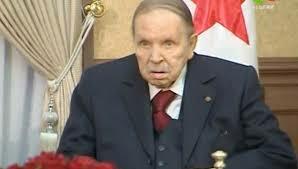 Bouchachi suggested Bouteflika’s nomination of a caretaker government was a move to perpetuate the political system. His comments, and the peaceful students’ march through central Algiers, indicate Bouteflika’s move had not mollified all pressure for reform built up by weeks of demonstrations seeking an end to his twenty-year-old rule.